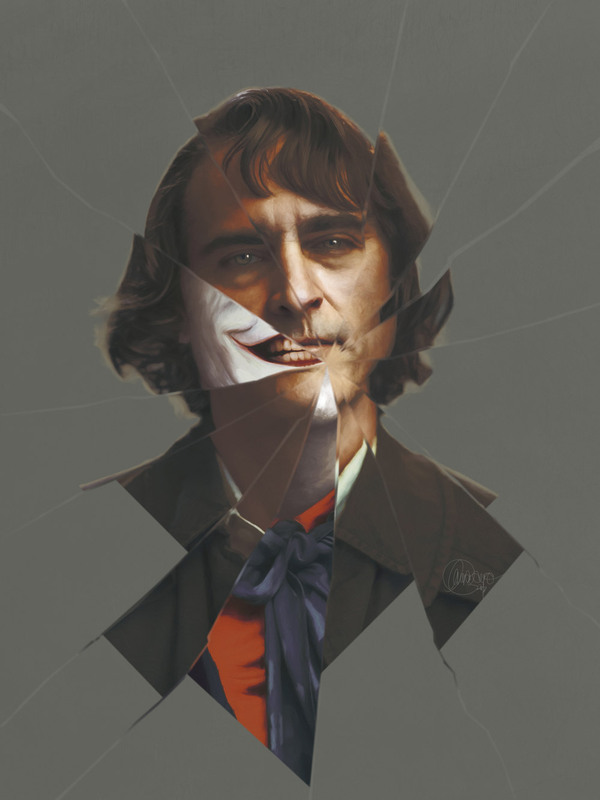 Joaquin Phoenix as Arthur Fleck, DC’s new Joker, with a glimpse of Nicholson’s portrayal. Digital painting with Wacom Intuos Pro. Promotional photographs used as reference.